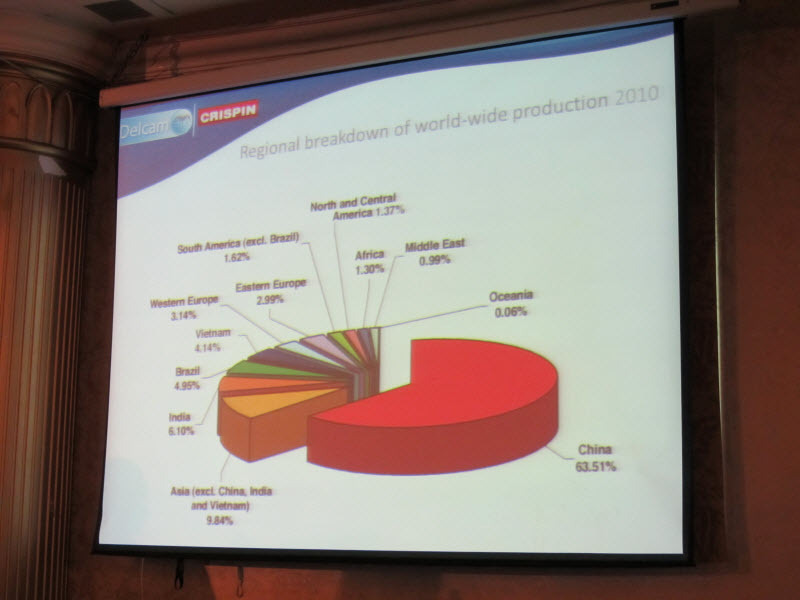 In January 2007 Delcam stepped into the footware industry by acquiring Crispin Systems. Since then the company has been integrating Crispin’s technology into its own and has ended up with a product called ShoeMaker, a complete software solution for shoe design. In shoe design the upper part of the shoe and the sole are designed using different software, mainly due to the design methodologies and materials that go into the two parts of the shoe. This causes a lot of problems, especially with grading. In shoe design grading is the process of creating variants of the same design for different sized shoes. If the top and the bottom portions of a shoe get graded inconsistently it can lead to all kinds of problems. Delcam claims that ShoeMaker is the only software solution that can design both these parts of the show thereby streamlining the entire shoe design process. Here is a video I captured during the ShoeMaker presentation at the Delcam Asian Technical Summit 2011 held in Zhuhai, China. For those who are interested in knowing how shoes are designed the video also explains a few of concepts. Its quite interesting actually. Here are examples of shoes designed in Delcam ShoeMaker. Here is another slide in the presentation that caught my attention. This shows the breakup of where shoes were manufactured in 2010. China has 63.51%. India has just 6.10%. Someone asked me on Twitter about the pricing of Delcam ShoeMaker. Delcam tells me that ShoeMaker is priced at $15,000, whereas ShoeMaker Pro sits at $21,000. ShoeMaker does the design of the Upper as well as some basic sole design. ShoeMaker Pro includes the full sole making software as well as the design of the Upper.